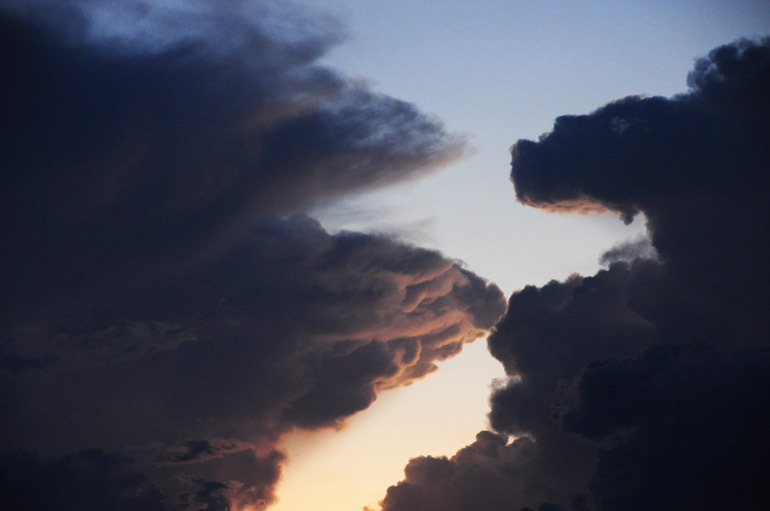 On the evening of Sept. 29, several large thunderstorms popped up over the center of Florida. 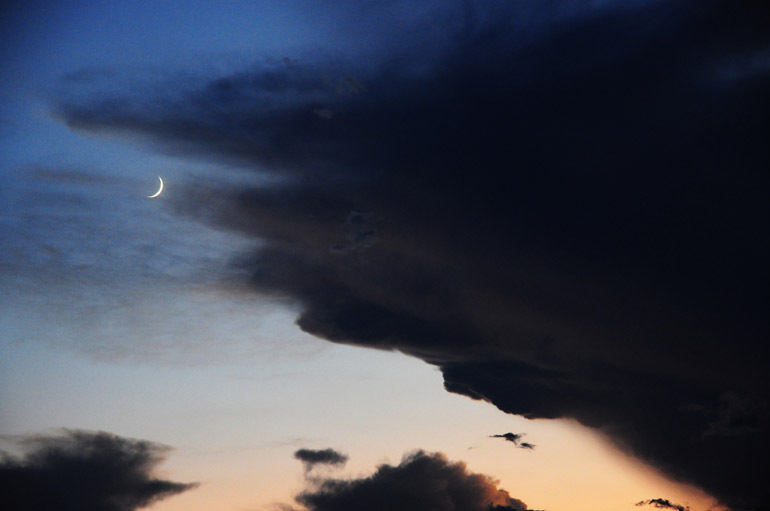 Their anvil clouds combined with a sunset and a setting moon to make for a colorful spectacle. 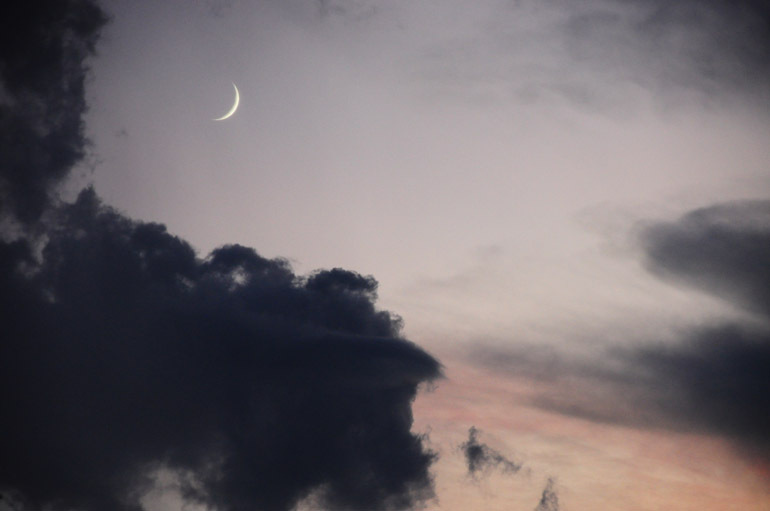 The above photo shows the crescent moon and the edge of an anvil. I've been lazy in the photo-taking department recently, so all of these ones were taken without the aid of a tripod. So they might be grainy and blurry. Sorry. 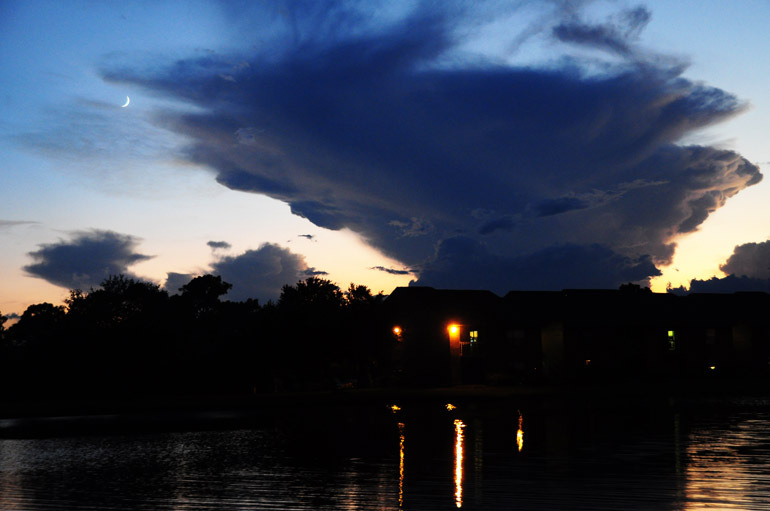 Here's a better view of an anvil, with my lovely apartment complex in the foreground. These clouds are especially ominous when there are few other random clouds floating around in the sky, which was the case on this evening. It's a stark contrast. This shows the meeting point of two anvils. I also drove briefly to the east, where a separate phenomenon was created by the anvils in the west. When such large clouds break up the rays from a setting sun, anticrepuscular rays tend to appear off to the east. These rays appear to be emanating from the eastern horizon, but they're actually coming from the setting sun in the west (of course) and are being bent by Earth's curvature. You gonna recycle that water? 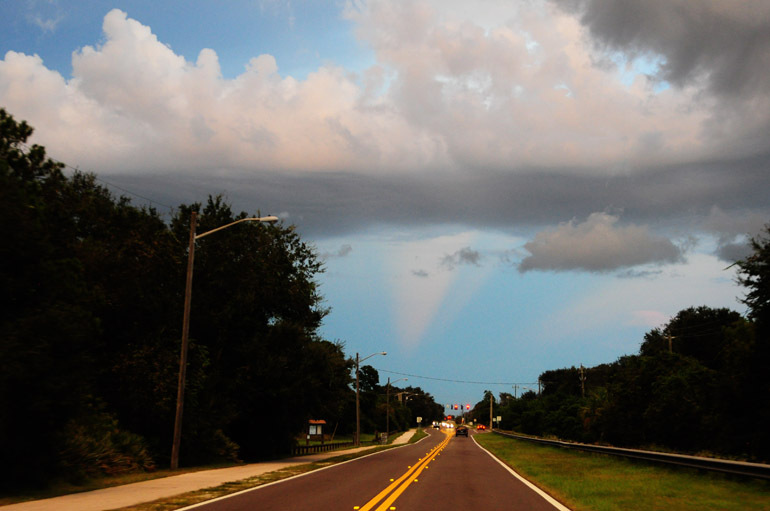 Central Florida's rainy season is coming to a close, which reminded me of a photo I neglected to share when I took it. This shows my workplace, Florida Today in northern Melbourne. I swear, the building is 90 percent glass, which is downright birdbrained in Florida. Pretty much every window, especially the skylights above the building's longest hallway, leaks. 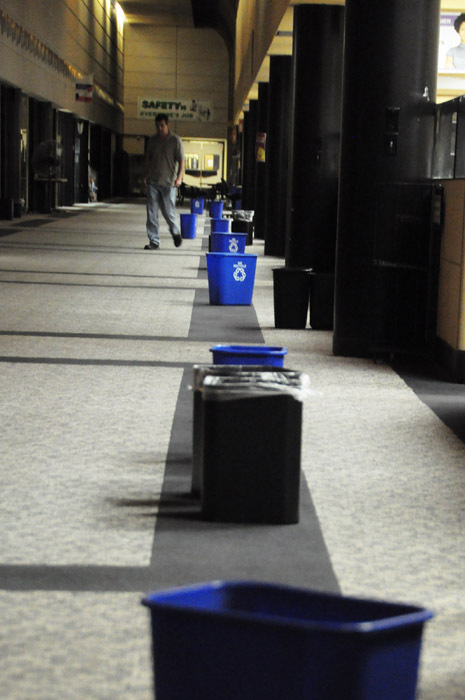 That's why these recycling bins are set up along the entire span: to catch the invading droplets. This sight provides a chuckle every wet season.